The Shift Doctors (Tracy Latz, M.D. 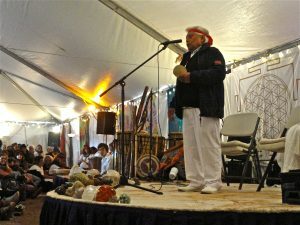 & Marion Ross, Ph.D.) had the pleasure and honor of attending the Skull Fire Celebration and day-long talks on 11/7/2011 given by Hunbatz Men (Mayan Elder) and Hopi Elders on the subjects of the end of the Mayan calendar, 2012 up-coming changes, and crystal skulls. The ceremonies and talks took place in Sedona, Arizona with Drunvalo Melchizedek also in attendance. Due to inclement weather, the opening ceremony took place inside- however, spirits were not dampened. Hopi elders spoke first, addressing the crowd in their native language. Then Hunbatz Men explained the true origin of the Hopi and Mayan people, as well as how their version of time and history differs from that written in history books and science books. He also spoke of the changes that are currently occurring and the changes that have yet to occur- heralded by the end of the Mayan calendar. Hear and see it for your self in the video below taken by The Shift Doctors. 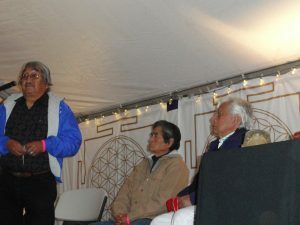 🙂 The areas energized during the trek of the elders across the North American continent will culminate with activation of sacred sites in a full ceremony of elders on 11/11/11 in Los Angeles, California. Embrace and Connect to Mother Earth & the Ancient Wisdom she has to share with us all!